IP PBX telephony system offers easy communication option for internal and external communication. While cloud services are taking over the telecom platform, Aria Telecom launched IP PBX with cloud telephony feature. The new cloud IP PBX services offers same benefits as traditional IP PBX. While traditional IP PBX systems were costly, cloud IP PBX comes at very budget friendly cost. Also cloud IP PBX does not require any intensive installation process. So, with hosted IP PBX, the only expense a company need to do is to buy actual dial phone sets. With hosted IP PBX system, you only pay for the number of system you need. With cloud IP PBX, shifting office or adding more users or upgrading system is easy. Cloud IP PBX just need the broadband system to set up and start working in case of office shifting. 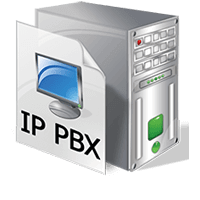 Cloud IP PBXoffers all the features like physical IP PBX such as call waiting, conference calling, caller ID and call recording facility. On top of that, cloud IP PBX offers many other features such asauto-attendant, group calling, call screening and voicemail to email transcription etc. Cloud IP PBX is best fit for offices with multiple branches. Cloud IP PBX offers better reliability than traditional PBX services. With cloud IP PBX, technical difficulties get fixed within few moments from vendor’s side. No installation or, maintenance cost. Available in monthly rental as well, pocket friendly solution. Easily Scalable and allow ‘N’ number of extensions on the go.